>Wednesday's unanimous Supreme Court decision affirming a robust Fourth Amendment protection for cellphone data is an enormously important victory for privacy rights in the digital age. It is also a reminder that support as well as opposition to civil liberty these days can come from unexpected quarters. Or maybe it is no longer much of a surprise that our constitutional-law-professor-turned-president cares so little for the protections enumerated in the Bill of Rights. In an opinion endorsed by all factions on the court, Chief Justice John Roberts Jr. summarily rejected the assertion of the Obama Justice Department and the liberal attorney general of California, defending that state's top court's view, that a warrantless search of the vast data contained on a cellphone is comparable to looking into a detainee's cigarette pack or reading a few pages tucked into his pocket. Limited searches that the court has previously accepted as consistent with the Fourth Amendment. "That is like saying a ride on horseback is materially indistinguishable from a flight to the moon. Both are ways of getting from point A to point B, but little else justifies lumping them together. Modern cell phones, as a category, implicate privacy concerns far beyond those implicated by the search of a cigarette pack, a wallet, or a purse. ... Before cell phones, a search of a person was limited by physical realities and tended as a general matter to constitute only a narrow intrusion on privacy. ... Today, by contrast, it is no exaggeration to say that many of the more than 90% of Americans who own a cell phone keep on their person a digital record of nearly every aspect of their lives -- from the mundane to the intimate." 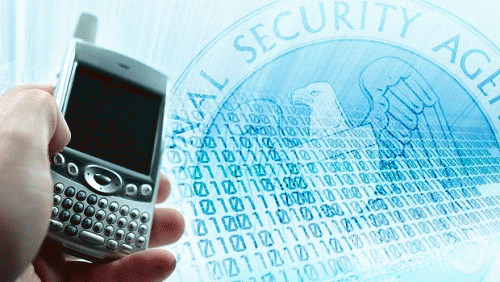 The modern cellphone is a mobile file cabinet of all of the personal data once stored in a home that the Fourth Amendment was designed to protect. Writing of the cellphone Roberts argued for the unanimous majority: "They could just as easily be called cameras, video players, Rolodexes, calendars, tape recorders, libraries, diaries, albums, televisions, maps or newspapers." The implications of this pro-privacy ruling at a time of the exposure of a vast government surveillance regime centered at the NSA are obvious. All of that troubling cellphone data is a relatively small fraction of what the NSA scoops up employing precisely the general warrants that the Fourth Amendment was designed to prohibit. While it is certainly questionable whether Roberts will lead the court into applying that prohibition to the modern surveillance state, logical consistency would demand it. What is truly radical about the court's unanimous endorsement of Roberts' opinion is that it asserts the primacy of privacy in the survival of the American political experiment in representative governance. Responding to the Obama administration's suggestion that law enforcement agencies "develop protocols to address" privacy concerns raised by the vast amounts of private data stored on cloud computers, Roberts responded, "probably a good idea, but the founders did not fight a revolution to gain the right to government agency protocols." "Our cases have recognized that the Fourth Amendment was the founding generation's response to the reviled 'general warrants' and 'writs of assistance' of the colonial era, which allowed British officers to rummage through homes in an unrestrained search for evidence of criminal activity. Opposition to such searches was in fact one of the driving forces behind the revolution itself. In 1761, the patriot James Otis delivered a speech in Boston denouncing the use of writs of assistance. A young John Adams was there, and he would later write that 'every man of a crowded audience appeared to me to go away, as I did, ready to take arms against writs of assistance.' According to Adams, Otis's speech was 'the first scene of the first act of opposition to the arbitrary claims of Great Britain. Then and there the child Independence was born.'" Now, about the NSA and its rummaging, might Edward Snowden come to be viewed as the contemporary James Otis?